Contributor and drone pilot dimitris.mitrolios created this marvelous promotional video for a company that does safari-type tours of the Greek island of Crete. Situated south of the mainland, Crete is the largest Greek island and the fifth largest island in the Mediterranean by land area. It covers over over 8,300 square km (around 3.2k square mi. ), and with a population of about 600,000 there are many sparsely populated areas on the oblong-shaped island. Description: Shot everything with Phantom 4 and Osmo+. Filmed for the awesome guys in Cretan Safari Tour and I am sure is the most suitable to make you discover the Cretan wildlife and nature, as well as the hidden traditional side of Crete. This trip is suitable for every age and taste. 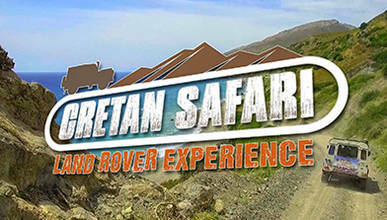 Get there and live your Cretan dream on the "wild side" or just live it now on your screen!